The Malabar Farm Foundation recently established an endowed fund at the Richland County Foundation. Malabar Farm Foundation Vice President Bob Berry said the fund is to help plan for the future of the beloved Malabar Farm State Park. “There was a time when the Foundation board was scrambling to have enough money to mail membership applications for the Louis Bromfield Society, a membership program established to raise funds to support the mission of the Foundation. Through the hard work of all the volunteers and generous donors, we came out of that weak financial situation. The board members decided to preserve a nest egg so that does not happen again. That is when we set up an endowed fund,” said Berry. The Malabar Farm Foundation was founded in 1994 to provide resources in support of the vision and programming of Malabar Farm State Park. The Foundation preserves, educates, promotes and extends the legacy of Louis Bromfield in the fields of agriculture, conservation, the arts, and literature. Donations to the Malabar Farm Foundation, a 501(c) (3) nonprofit organization, help fund many projects including educational exhibits and restoration of the many one-of-a-kind artifacts found in the Big House, the 32-room sprawling former home of Louis Bromfield, a Pulitzer Prize-winning author and conservationist. The Malabar Farm Foundation has spent in excess of $80,000 over the last three years to restore artwork and furniture in the Big House with more restoration projects in the works. In order to preserve these treasures in the Big House, the Foundation plans to install UV protection shades on all the windows. When you tour the Big House you take a step back in time and see how beautiful it was in the 1940s and 1950s. 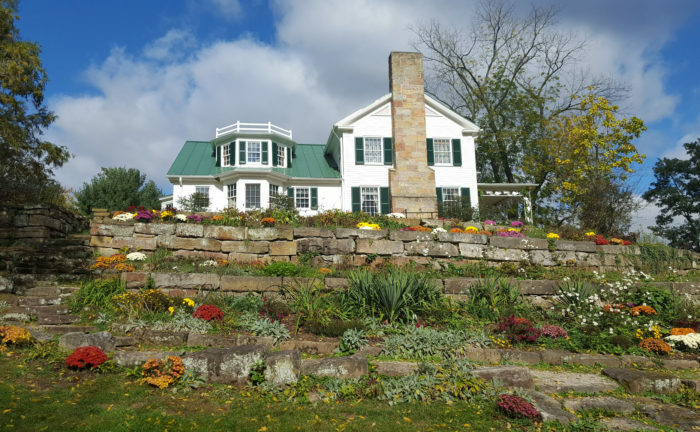 The Malabar Farm Foundation in partnership with Malabar Farm State Park hosts multiple fundraising events throughout the year such as dinner and entertainment in the Big House, serving food and drinks at Maple Syrup Days, Heritage Days, barn dances and a car show. Malabar Farm State Park is a family friendly place with a playground, picnic area, hiking trails and is a working farm where people can see farm life up close. People come from all over the country and world to visit. For more information on the Louis Bromfield Society, how to volunteer or donate go to malabarfarm.org. You can also donate to the Malabar Farm Foundation Endowment fund at richlandcountyfoundation.org.